Feel free to steal, tweak, or laugh; you gotta do whatever WORKS FOR YOU!!! (1) My teacher notebook. This has my unit outlines and usually copies of my tests. It also has my year-long planning pages. (2) Notebook from last year, if you have one available for ideas. If you don't, Pinterest will be awesome! 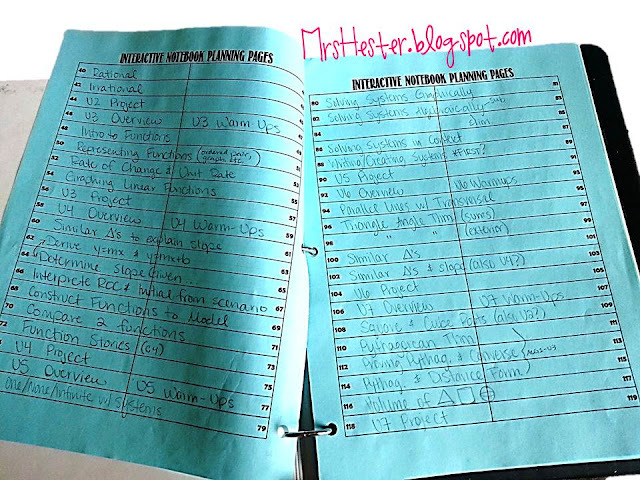 Heck, pinterest in awesome for ideas even if you do have a previous notebook. I first get out my unit outlines and copies of each test for the year. Yes, we make these items ourselves as a district math team. In order to create notes and activities I have to know where my students are going, right? Here's a little bit of our Unit 1 outline so you know what I'm working with. The items that I care most about at this point are overall objectives, the bullets about what those objectives mean, and the standards. I also look at the unit test at this point and see exactly what my students are going to be required to do. I always make it a point to teach beyond the test, but I have to make sure I at least include the minimum! Once I have my head wrapped around the general ideas, I go to my Interactive Notebook Planning Pages. These are very simple pages where I map out the bare bones of a notebook. I love doing this before the year ever begins because I want to make sure there is room for every glorious topic in my students' notebooks. Now, did I follow this exactly last year? NOPE! Not even close by the end of the year! But it did act a guide for the entire year. I was able to see "okay, I need an extra page here, so I'll have to give up a page back there somewhere." It was really helpful to me. Your free copy is here if you want it. As you can see in the picture above, these get hole punched and added to my teacher notebook. They stay with me all year long. Once I have the year mapped out, I start creating the individual pages. I generally start on page 1 of the notebook or day 1 on my calendar. What will I need first? Alright...let's make it! I scour the internet and often steal great ideas from others. If I don't find something I want to use, I create my own. More often than not, I combine multiple ideas I like and create my own stuff. I usually cut pieces of copy paper in half because a half-sheet is usually about right for a notebook page. I sketch out my ideas on that piece of paper and then stick in inside the notebook until I actually create those pages on the computer. Here, I've used half sheets but then folded them in half again to represent a double-page spread. Yeah, whatever works. It looks different from day to day. I'll think about what the most important pieces of information are for the topic and design around them. After the foldables and notes are created I make activities, games, homework assignments, quizzes, whatever else I need. There you have it, the bare bones of my notebook planning process. I hope this helps you get started!! Best of luck in the year ahead - YOU CAN DO IT!!!! If you fall of the wagon from time to time, it's okay! Don't beat yourself up. We've all been there! Just wake up the next day and try it again. Please let me know if I can help with anything! I LOVE how easy to read your district's pacing guide is. I feel like ours is always cluttered with too much text. Any chance it's available online somewhere? I also teach 8th grade, so it would be awesome to compare. I agree with above, the curriculum guide looks great would love to see it all. 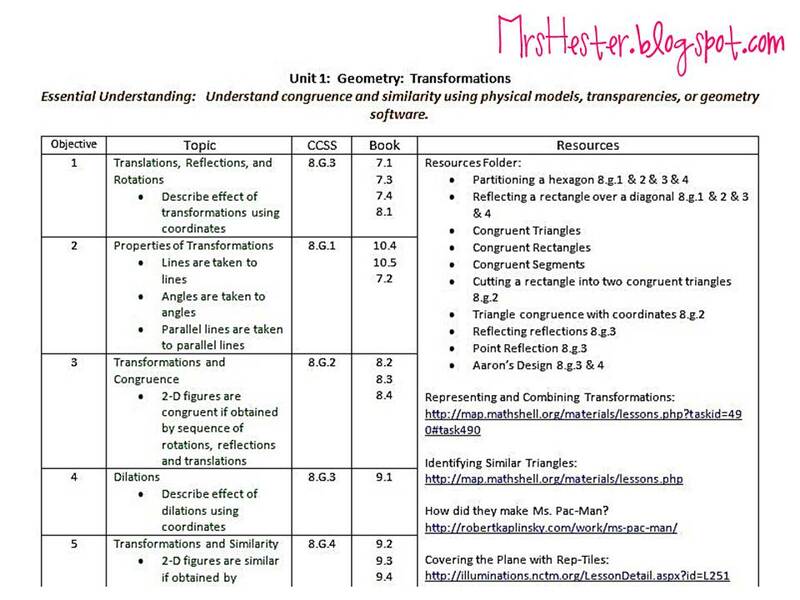 Interesting that you start unit 1 with geometry. What's the reason? Your site gave me the motivation I needed to start planning! I just love your blog! I've been teaching jr high and sr high math for 12+ years - I'm returning to work in a few weeks from mat leave and have spent the last month devouring resources for interactive notebooks. You really need to be commended for both your blog as well as your teaching style in my opinion : ) Your passion for education is contagious, and your willingness to share ideas freely on your blog helps us newbies find a foothold to take the risk to start. Thank you for inspiring me to do the same! 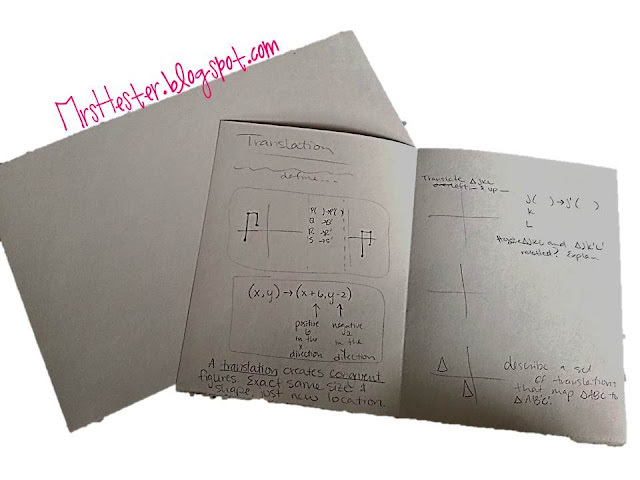 I'm going to attempt to use interactive notebooks with my grade 7, 8 and 9 math classes, and hopefully by next year bring them into my grade 11 classes as well. Hey Jessie, what program do you use to create your work sheets? Especially the ones where you used lots of blocking? 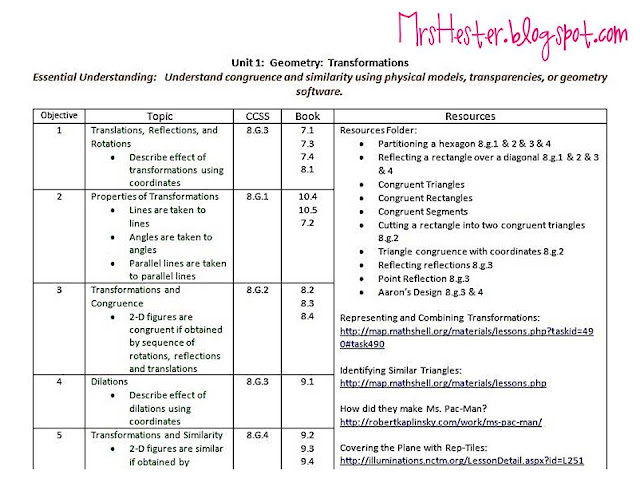 I absolutely love your blog and can't wait to get back into teaching next year!! I have been following your blog and using you as an awesome guide for my interactive notebooks this year. Your stuff is phenomenal!! As I begin planning for next year, I was wondering if you were able to share your copy of your curriculum map? My county does not have one and this is my second year so I am still getting my feet wet. Hey there! 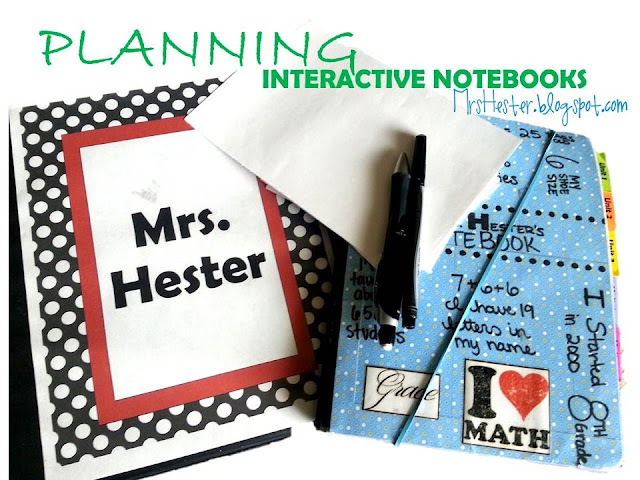 I love your blog and can't wait to try out interactive notebooks this year. I don't have a very collaborative PLC which makes it a very intimidating process, but I'm still willing to give it a try! My biggest question is how do you come up with a way for students to "process" that information on their output pages? Did you find a few ideas that worked, then branch out? I love the "give me 5" idea and the "3-2-1" or where students use their INB to make a test review, but I would love ideas on how you push your students to process the information beyond just examples! I love your stuff! I was wondering if you could share your unit outline. That would be wonderful.